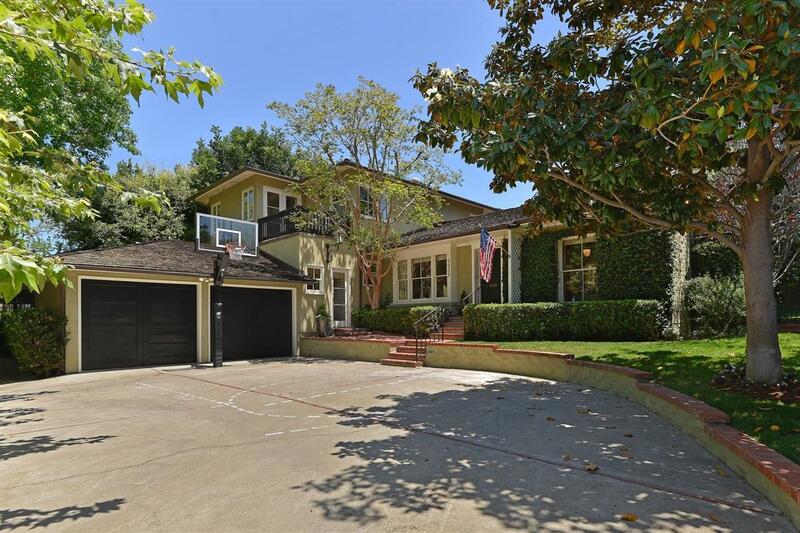 Classic Upper Hermosa home with all the amenities and designer details you expect. 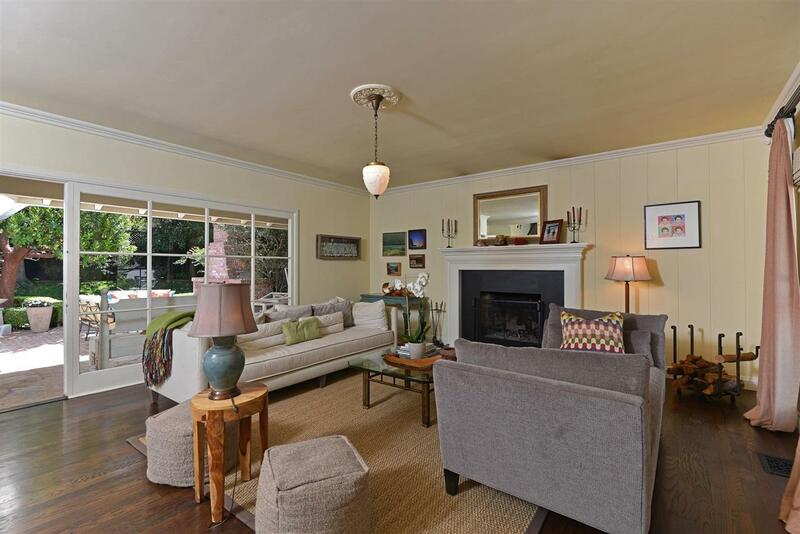 Expansive great room opens out to a charming brick patio w/ outdoor fireplace. The chef's kitchen includes high-end appliances, marble countertops, wine fridge & breakfast bar. Master suite on upper level features, walk-in closet, dual vanities, an oversized bathtub & striking glass shower, plus additional room perfect for an office or nursery. 2nd Master on main floor. Large lot features mature trees and sweeping lawns Remodeled and updated with the utmost attention to detail. This is a home that will never go out of style. A timeless classic with all the bells and whistles. Incredible privacy is provided by the tall leafy trees and the over sized lot, with circular drive way and brick wall, perfect for viewing the annual Forth of July parade. 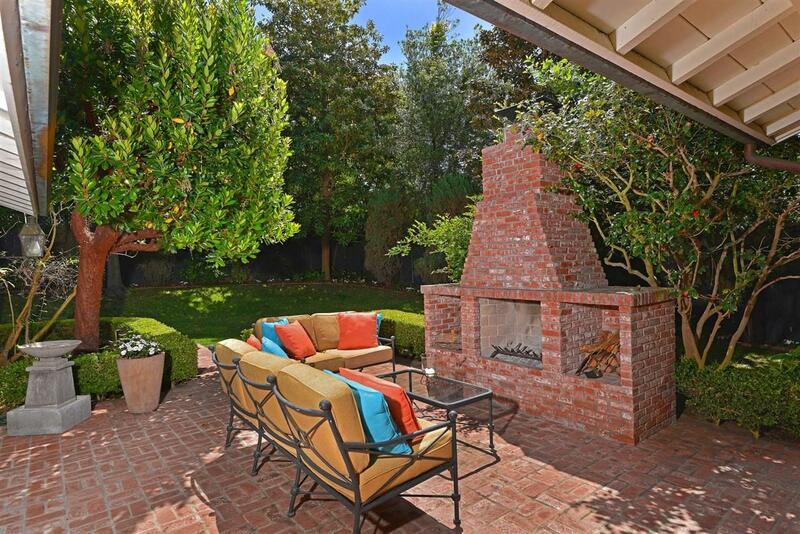 Yard and patios invite you to enjoy and relax outside in the beautiful San Diego sunshine. Quite hammock off of the family room for lazy summer days, spa tucked under the trees for cozy evening relaxation and brick fireplace off the main living and dining rooms, is the perfect place to retire after a lovely meal. The kitchen is outfitted with every amenity you can think of. Wine fridge, ice maker, refrigerator drawers in addition to the oversized stainless steel fridge/freezer, plus walk-in pantry and farmhouse sink looking out to the front gardens. Casual family room off of the kitchen lets your family and guests relax and still be part of the action. Whimsical powder room also in this area is just what you want for your guest use. 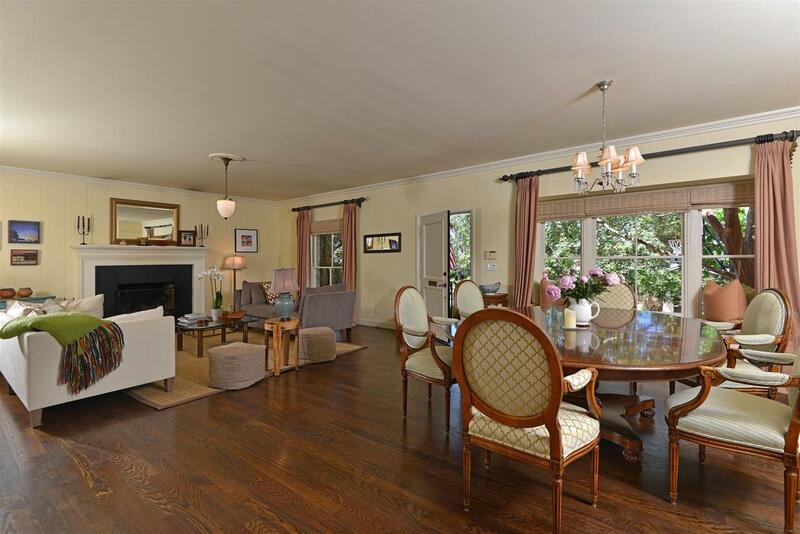 Formal living room with fireplace and formal dining area with window seat. Generously sized bedrooms with ample closets. One bedroom features a fun loft, perfect for childhood explorations. On-suite bedroom downstairs, has a separate entrance from the garden you can choose to use.